Tilley Vancouver : Motorcycle Rider Blog. Behind the scenes of Virtual Riding TV, Canada's motorcycle touring and travel site. 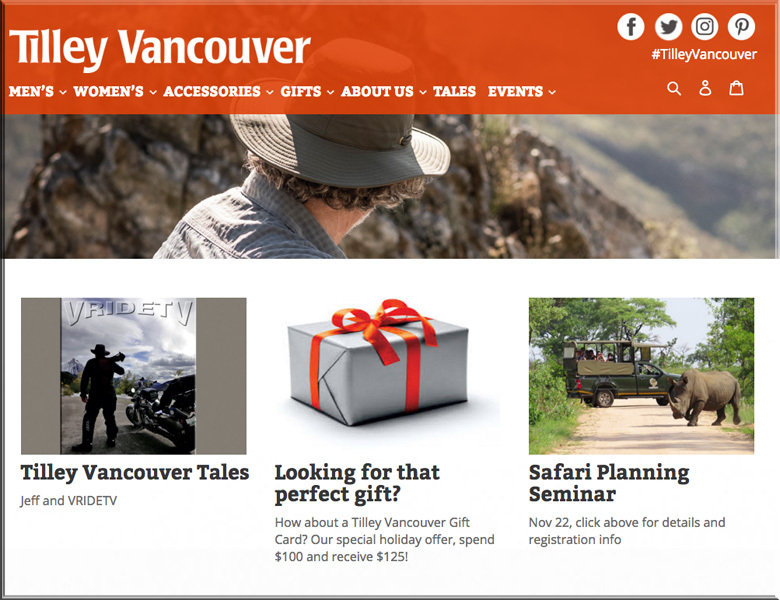 Holy smokes look who made the home page on Tilley Vancouver's website!